It’s the first version of the application used to modify REZ files based on patches. You provide a list of patches which program then analyzes and modifies the contents of the original REZ package. 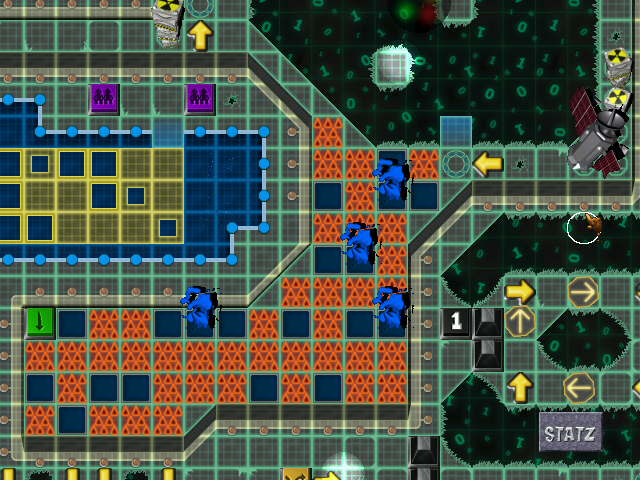 Gruntz REZ Patcher is intended to finally make Gruntz a moddable game! To some extent at least. Since it’s the first working version of the program, you’re likely to encounter some of the bugs. When this happens, report them in the comment section below this post alongside ideas for new features and constructive feedback in general. I don’t think there’s a need for a special place for it at this very moment, maybe I’ll think of it later. When I had released the first version 0.1.0, I promised I would take care of a proper, even the simplest GUI to make the program user friendly. Well, it turned out the current release, even though it’s got a GUI, has nothing to do with the original 0.1.0. 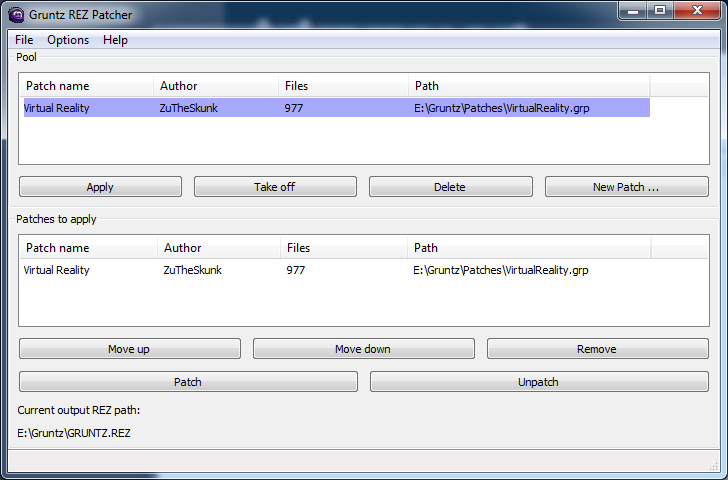 I should have named it “Gruntz REZ Packer” or something alike and reserve the name “Gruntz REZ Patcher” for a version that actually does patch anything whatsoever. Ah well, should have thought of that sooner. The program creates a backup copy of the original REZ file before it patches it for obvious reasons. 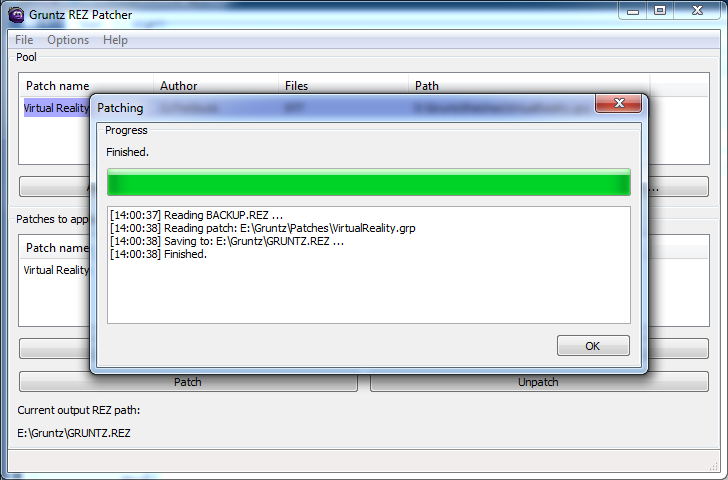 Later on it treats the backup copy as the base for patching. It’s placed in the folder where the application is located. The program is split into two functional parts: the top list named Pool is a workspace of some sorts used for stashing the patches we’re working with. The bottom one named Patches is the list of patches that actually are included when building a new, altered version of a REZ file. They are read in order from top to bottom (in case of file conflicts between patches, the lower a patch is, the higher priority it’s got). A quick way to add new patches to those lists is to simply drag them onto a program from Explorer window. As of now patches can have *.zip or *.grp extensions. The latter is in fact a ZIP archive, however it’s interpreted in a slightly different way. The program looks for a patch.txt file in a top directory of the archive and when found, reads detailed patch information included (author and a patch name). This data is viewed in both lists when a program is up and running.